Two men saved an unconscious driver with prompt CPR. The Mounties are praising the bravery of two men who put their lives at risk to rescue a woman who suffered a massive heart attack while driving on Highway 1 in Coquitlam. The men saved her life and other drivers. Courtney Smith, a sales representative and family man wedged his van in front of the woman’s vehicle and stopped it when he realized the driver was unconscious. He was driving when he noticed a car out of control, veering into a cement barrier. You can learn cardiopulmonary resuscitation (CPR) by enrolling in a first aid class. Ron MacLeod, an enforcement officer with the Agricultural Land Commission was driving behind both vehicles in distress and soon joined the rescue efforts by activating the emergency lights on his truck. The two men smashed the windows of the locked vehicle and pulled the unconscious woman out. The officers stated that the woman had no pulse when rescued and MacLeod performed CPR before the arrival of the Mounties with the paramedics. The woman, 44-years old who is a mother of 3 children was transported to a healthcare facility but remains in critical condition. 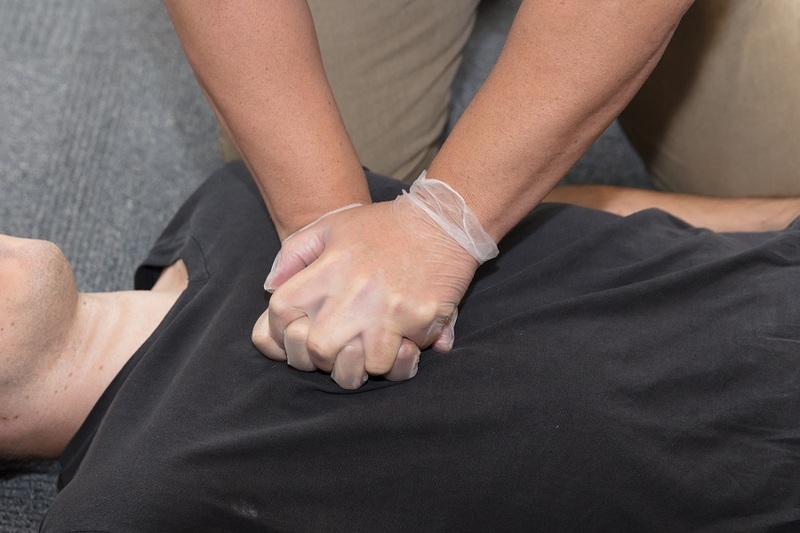 You can learn cardiopulmonary resuscitation (CPR) by enrolling in a first aid class. It is a life-saving technique that can help save lives by improving the chances of survival.